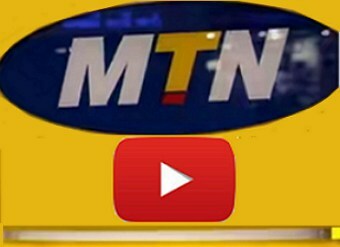 Hello guys, if you are a YouTube lover, this is your time to enjoy YouTube Streaming and Download videos as you like with MTN network via the YouTube app or Youtube Go app, just that it required the subscription of MTN 500MB of ₦25 (Happy Hour night browsing). As we know, MTN offers night plan of 500MB for just N25 from the hours of 12am midnight to 4am every night. For those that are using the subscription, you should notice that every MTN sim card entitled to a one-time activation per night on Happy Hour night browsing. Some people are using 4 different Mtn sim cards in order to get just 2GB at the cheap price of N100. If it is purposely for Youtube Videos, the stress is over, you can now enjoy YouTube Streaming and Download videos as you like with an MTN sim card and for a one-time subscription of N25 per night. Now you should understand that this cheat was tapped from MTN Happy Hour night browsing, so note that the cheat works only at night between the hours of 12am – 4am. Your MTN sim must be on the MTN Pulse tariff plan, but if you are not sure of the plan you are already on, simply dial *123# to confirm which plan you are on or just dial *406# to migrate to MTN Pulse plan. Dial *406*4# and follow the prompt message by dialing 1 or send NIGHT to 131 via SMS. After subscribing to the plan, ensure you finish the plan (500MB) on time before 4am. Having finished the 500MB, do not switch off your network connection as this tends to disrupt the YouTube plan, just wait for about 1-2 minutes to start the YouTube. From there you can watch unlimited videos, download as you like until 4am. The cheat stops once it’s time. The interesting part is that it’s unlimited, you don’t need to look for another sim card to resubscribe. This is usable only on YouTube app and the newly introduced YouTube Go app.